First, I thought I had the flu, but after suffering through 5 days of diarrhea, ended up seeing my physician, who is in the process of finalizing the diagnosis of giardia. My symptoms started exactly 10 days after returning from the Great Slush Walk of 2009, consistent with the incubation period for this nasty intestinal parasitic traveler. Fatigue, 5 pounds of weight loss, no headache, no bleeding, these are all part of the package. I suspect that the untreated, unboiled water that I drank in my last steps exiting from Moosehead Lake was the event that led to this. It was the end of a long grueling 15 mile day of pulling the sleds, and I was parched-dehydrated, after running out of water couple of hours before. Two days of three-times-a-day tablets of metronidazole is finally starting to firm up not only my stools, but my resolve to return to the land of the living. We can’t see outside our picture window here at the Indian Hill Motel, which is conveniently situated just across the street from the Indian Hill Trading Post. There is a defunct, boarded-up, failed McDonald’s just down the hill from the Trading Post, a testament to the bleak economy in this last northern bastion of trade. The snow drift outside is too high. If we could look through it, we’d see the vast expanse of Moosehead Lake below us, stretching out to the north. Set at an elevation of 1,023 feet, Moosehead Lake is approximately 40 by 10 miles , with an area of 120 mile² and over 400 miles of shoreline. It is one of the largest natural freshwater lakes in the United States. The image above gives a rough idea of the size and shape of the Lake. The map itself details the Plum Creek proposal for developing the area on the shores and surrounding the lake with over 1,000 house lots and two huge resorts. It has been approved by LURC and our trip there was seen as one of the last chances we’d get to view the area before it was developed. Out route went straight up the Lake from the lower end in Greenville, then up over land to enter and walk the length of Seboomook lake, running east to west at the very top of the map. I plan to add a Google Earth details on this trip on this entry , but my learning curve is just too steep to produce that right now, so I will add that data later. I have been able to ” fly” over the exact route that we took on a detailed photo image of the area, but can’t figure out how to get that data entered on the blog yet. It will be awesome! We’ll start walking the behemoth tomorrow, leaving from downtown Greenville. My compatriots on the winter walk are two men who I came to know while hiking the Appalachian Trail in 2007; Bad Influence ( Mark Shaw) and Rangoon (Clint Sochulak ). This trio completed the Fundy Footpath in October of 2008 together, a four day hike I chronicled on this blog. Right now we are done for the day, after spending too many hours driving up here from Midcoast Maine. It wasn’t enough for us to reach this last northern outpost in this part of the great North Woods. We also had to spot a car up to historic Pittston Farms this afternoon, where we’d take out in a week if our luck and food holds out. The round trip ride up to Pittston Farms took us another two and a-half hours. It is a mildly treacherous ride over narrow, snow drifted roads. Sure, you can power a decent 60 mph from Greenville up the west side of the lake to Rockwood, but then you cross over the Moose River and you are on a thirty mile ice road, drifted over in spots, and just hilly enough to make me nervous churning the front wheels of my Chrysler Voyager as I crested blind hills and hoped for the best on the backside descents. Outside our motel door tonight is the whine and throb of snowmobiles running around the parking lot of this 15 unit motel. We’re not going anywhere tonight, safely sipping Guinness, and soon to devour a variety of potato salads, dismember our hot rotisserie chicken, and enjoy each other’s company as we absorb the winter hum of the North Woods. Tomorrow we start our walk right up the center of the Lake. Today we hauled a tough 7.3 miles. The snow cover is making for some tough pulling, especially for me with my waxed bottom, wooden toboggan. I also have the 17 pound, 9 x 12 Egyptian cotton tent, the box stove, 5 lengths of stovepipe, and the tent fly. Include three boxes of food, a couple of sleeping bags, sleeping pad, pots, pans, a griddle, candles, a variety of iPods, and the list goes on. By mid-day we had a most impressive view of a completely pure white, snow covered Katahdin rising up behind the ridge line some 70 miles to the east. It was very useful to have my GPS here. I was toggling back and forth, taking readings from our take-off point in downtown Greenville and finding our eventual distance to the next major mile post of Kineo Mountain, a half way mark. The walking was fairly easy day 1. We did use snowshoes as there were drifts and loosely packed snow that was tiring to sink in. We ended up camping our first night on this lake in the exact same place Roger Lee and I did on our 2002 trip here, traversing the same course. We are literally set up on the ice at the edge of the lake. The climb up to solid ground is much too steep to move all our gear up there. Our tent is tied off to trees. We get our drinking water from a hole that Bad influence chiseled through the ice. We don’t treat the clear cold water. In places, there is two feet of snow on top of the lake. Bad Influence cooked us a supper of ravioli and homemade tomato sauce. He served hummus and pita chips for an appetizer. We were too full for ice cream and berries. It is 8:30 am and we are in our down sleeping bags and will stay that way. I have one bag inside another, due to the cold. I had awakened at 3 AM last night when I looked up through the white cotton in the dim moon light and realized that the entire roof of the tent was covered in snow. I stood up and pushed the snow off the tent and then went out to pee. The snow was coming down at a good rate. While I was out I transferred all our split firewood to the inside of the tent. I also found BI’s jacket and mittens on top of his duffel and brought that in, too. Nothing more to do than settle back down into the depths of the thick sleeping bags and sleep until dawn. At 6:30 AM it was still snowing. I decided I was now up for good, and easily started a fire in the stove. We are warm in the tent when the fire is glowing inside the 20“ length stove, but we tend to let the fire die out in the night, both for safety purposes and for the sake of conserving firewood. I was relieved that the was just a thin layer of ice on the pots of water that were left on the stove last night. I did not want to head over to the lake and clear out the snow and ice from the hole BI had çhiseled out. I assembled a pot of coffee, Dark Star from Rock City Roasters in Rockland. It was soon perking away. I threw on a package of turkey sausage, and made up four giant buckwheat pancakes, which we smothered in clarified butter (ghee) and maple syrup. Two more perked pots of Dark Star followed and we decided that it might be best to wait out the weather, rather then walk in a blowing snowstorm. We can hear the low rushing sounds of the wind, despite our super-sheltered site here. I have walked in the driving snow here in 2002 with Roger, when we decided to part ways with Garrett and Alexandra Conover, who themselves decided to wait out similar conditions. That trip was written up on the Boston Globe, where I was interviewed for the article. This time, this group would play it smart. Even if it stopped snowing, the walking would be difficult. The fierce wind will still be present, and the fluffy fresh snow will be swirling and would obstruct our vision. Every inch of our faces would need to be covered, and it is a level of grinding out miles that I’d prefer avoiding. Our wood pile is dwindling rapidly. We split and cut enough to get us out of here after breakfast, but we’ll have to muster ourselves out of the tent sooner or later, as dry spruce does not hold a burn for very long. At least all our clothes and boots will be dry, hanging on a line that we set up up high in the peak of the tent, where the temperatures can reach 90 degrees. Two neon-encased, helmeted folks lumbered up to the tent, so I invited them in. “Where are we?” a male voice asked. I told them I had a map of the Lake and I could show them where we were, which I proceeded to do. They were really surprised when I pointed out our site at the southern end of Deer Island. I asked them where they had thought they were and they pointed to Beaver Cove some five miles east. The couple told us they were from Pennsylvania and were up for the weekend. We offered them fresh coffee but they were on their way to find ITS (Interconnected Trail System) 86 and we even gave them turn by turn directions on how to get there. The snow finally let up by 11 AM, but the wind persisted, so we made a decision to hunker down here from the rest of the day. We were also close to being out of wood, so we stretched and grunted up the godforsaken 45 degree slope to where we could find wood. The best stove fuel in these parts is standing dead spruce, and we had to range a good ways out to track down the four poles we eventually dragged back to the site. which Rangoon and I split with my axe. BI’s back was acting up, so he was absolved of the splitting detail. He told us his back wasn’t the same since he fell 70 feet off a cliff in a rock climbing accident at age 16. The afternoon was spent dozing, reading, and eating in the warmth of the tent. I had decent cell service so called one of my work sites and told them I might now be in for work next Wednesday, that we were running into some weather that might hold us up. I was unsuccessful in reaching a few folks for the purposes of getting a weather report and finally hit pay dirt when my friend David read me the Rockwood, ME NWS forecast from his computer screen. At 11:30 PM I awoke to the sound of rain hitting the roof of the canvas tent and the three of us launched into emergency tarp application mode. We were dreading packing a big, wet, snowy tent and I was doing a double dread at having to pull the weight of the thing all day. The plot thickens. At 8:45 we were up and out on the ice. It was good to move again. It was tough walking today. We decided to swing out to the eastern side of Deer Island, in an attempt to avoid the wind, which was strong, persistent, and battered us all day long. Snowshoes in the morning gave way to just slogging through the slush on our rubber boots in the afternoon. I can’t say enought about my new pair of really waterproof Muck Boots, which I bought after BI’s recommendation. Our initial 2 mile leg saw us battered by 25 mph winds . “Whatever happened to the 40 degree temps?”, asked BI. As we were rounding the bend, we were approached by a Fish and Game officer who was checking us out to see if we were legally fishing. We chatted a bit, and he told us that so far Greenville had received 115 inches of snow this winter. He told us it was to snow again tomorrow. He was very pleased that he was headed out to San Diego, CA in a couple of days. Next, we turned the corner then slogged through a 4.5 mile walk straight into the wind. Two parties of snowmobilers asked us where they were, and if what lay off in the distance to the north was Mount Kineo. They had no clue. We had to veer off to the western shore to try and avoid the battering of the west winds. We eventually found a stellar sheltered land-based campsite at Sand Bar Point, the main peninsula jutting out just south of Rockwood. It was a beautiful spot out of the wind. Every single step for me today was work. I didn’t even take one normal step all day, thighs working overtime. Rangoon took on some leadership, breaking trail for us. He was also carrying three 16-18 foot tent poles, in our effort to save time and work when we set up the tent each evening. Each night, as Rangoon and I set up the tent, BI chipped through 2- 2 and 1/2 feet of ice to get water. Rangoon’s power continued to shine and he cooked us a stellar chicken stew. The seven miles we walked today felt more like double that distance. Slush. Warm temperatures. Today was one of the less enjoyable outdoor times I’ve had over the years. We were all wearing waterproof boots, but by the end of the day, our feet were soaked, primarily from perspiration. Initially, we had a long, four and a-half mile walk grazing West Moody Island, eventually passing just to the right of Mt. Kineo, our half way point up the Lake. The wind was constant from the west, roaring in our ears all morning. Here is a brief video of a 360 degree view of the lake, with Kindo rising some 4 and 1/2 miles in the distance to the north. You hear the wind obscuring my voice, and if I sound tired, it is because I was. We are aiming for the cut just east of Kineo. During that stretch we saw blue skies, black rain clouds, rain, sleet, and then a bit of hail. The wind was up to 25 mph, on top of slush. Eventually we took off our snowshoes and trudged through the slush. Here is BI working his way up the lake, and in the end of the video you see my feet splashing along. That is water on top of the lake. We found a relatively wind-free site for lunch and then passed Kineo. We decided to take the Ranger’s suggestion and head for a site on the eastern side of Farm Island. We were almost to shoe when a pair of snowmobiles approached from the North. “Do you know where Tomhegan is? “, one rider asked me. “Where do you think you are?” I asked the rider. “I know we are on the western side of Farm Island, heading down to the Narrows”, he replied. At that point I threw up my hands and told him he must know what he is doing. But I warned him that he was literally headed toward thin ice. “I don’t think you guys should go down that way, ” I told him. “The ice is thin where you are panning to go. We were just told by a Fish and Game officer to avoid the southern part of Farm Island”. “We can skim over open water”, the snowmobiler replied. At that point he still thought he was correct. I an last ditch effort to get him back to reality I turned around and pointed to Kineo. “What do you think that mountain is? ” I asked him . “I’m not sure”, he said. “It’s the back side of Kineo. So look down at your own map and tell me what body of land is the next point north.” At that point he mumbled something about taking a wrong turn but they reversed about and went back around the northern point of the island, doing the right thing. Once we reached our site, we quickly set up the tent, got out of our wet clothes and warmed ourselves with the heat of the stove. Things get better when you are out of the wind, warm, and start eating. The return of ice. We had a Rangoon breakfast of oatmeal with dried fruit, sausage, and perked coffee. As soon as we started walking, we started smiling. The Stablicers made the sweet crunching sound, and the sleds were gliding over the still frozen ice surface. We left Farm Island at 10 AM. Our first leg was to walk past a 2.5 mile deep cove. We made short work of places like Socatean Bay, The Moose Brook Islands, where we were resting at the mouth of Northwest Cove, at the northern end of Moosehead. We saw the light and silhouette of a snowmobile approaching from the North. The rider asked us if we needed any help. Kevin said, “Sure, I can take all you guys to Seboomook”. “How would you do it?” I asked. Done deal. Five minutes later, I was sitting on the back of our new friend Kevin’s maroon Arctic Cat with my toboggan in tow, whipping down the Lake to the tip top of Moosehead toward a settlement known as Seboomook. According to Kevin (Dunham, St. Albans, ME, 938-4577, Indian Lake Market) , the place is deserted in the winter. He comes up from his convenience store in St. Albans and stays in his trailer whenever he can. So me, Rangoon, and Bad Influence each had a snowmobile ride today. The Trail Magic continued. Kevin dropped us off right on the shore, at at old campground, where we had the pick of any site. Nobody, here, nobody at all to care. Kevin proceeded to bring us two big bundles of split hardwood, two buckets of water, and even volunteered to get back on his snowmobile and motor over to Northwest Carry some 7 miles away to make a courtesy cell phone call to Katie, BI’s wife, so she would know he was fine. Kevin acted offended when we thrusted $30 in cash at him for his gas bill. He was immovable in his refusal to take any money for helping us. After we set up camp we met are two drunk guys from Pennsylvania who were out planning to do some fishing and then to shoot coyotes in the dark. They invited themselves over to drink in our tent after supper and we hoped they would forget. They did ( forget). And then Kevin also stopped by and gave us two freshly caught and cleaned lake trout, that Rangoon prepared and fried up in butter for our supper. The night was clear and cold, and even though we were out exposed to all the elements, there was not a trace of wind in the night. I had a huge night of vivid, violent dreams , thinking that maybe they had something to do with the history of Seboomook, which was a World War II internment camp for German prisoners. We packed up and headed out after getting directions to get to Seboomook Lake, and had relatively easy pulling for a mile and a half along a snowmobile trail that had three reasonable hills on it. On my last trip on this route, we followed a stream that fed into Moosehead that required Roger and I to hack away and wrestle our toboggans, while we on snowshoes, through 1/4 mile of alder swamp, sometimes even cutting away our path through brush and trees, which was not something I wanted to do again. I started immediately walking toward some exposed ice and promptly broke throuh the crust of snow and immersed my right leg in the slushy ice water, all the way up to my knee. I immediately retreated and began packing snow against the outsides of my boots and wool pants, which sponges up the wet. I did not have to change clothes, thankfully. So, plan B. Locate a dismally dim old snow mobile path that headed over the lake and hope that the packed refrozen snow underneath was strong enough to hold our weight. Today ended up most kindly described as brutal. We must have taken off and put on snowshoes over a dozen times. We ran out of water to drink, with all that fresh cold liquid trapped under the ice and snow below us . The day brought cloudless blue skies, calm, and the additional effect of the March sun reflecting off the surface of the snow was to make the snow walk into a desert walk. I ended up stripping down to just my pants and a t-shirt, with my fly wedged open for breathing. I was mopping the sweat out of my eyes continually. Breaking through the crust was not uncommon. Several times in the afternoon I was reduced to just counting my strides to 100 without glancing up until I reached my questionable century stride counter, then head goes down to rack up another 100. I call it survival stepping. We saw but one snow mobile at the very end of the day far off to the edge of the lake . Seboomook is normally a 9 mile straight run west to Pittston Farms and our car to go home. Today, my wood bottom toboggan sounded as if it was sliding over sand, but the other guys had the polyethelyne rigs and they were easier to pull. As darkness was approaching , BI told us he was on the border of being delirious. By the time we reached the vehicle it was almost dark, past 7 PM and my GPS registered 15 miles of hard pulling. We spotted a ribbon of flowing water at the edge of the Lake as it swung on the final turn into Pittston Farm, and dipped our water bottles into the clear life giving water and drank deeply. We decided to haul the toboggans up onto the final stretch of the snowmobile path rather than walk in on the river, and helped each other up the steep embankment. As I brought up the rear, my right snowshoes broke through the crust and I was in the water up to my knee again. This time I stayed wet. We were desperate to get the gear into the car and walk into the main hall and eat. We had been talking about the evening buffet for miles now, but when we saw the empty parking lot, and the sign in the kitchen that indicated that it had closed at 7 PM we were crushed. We had even considered staying the night and renting a room and just collapsing for the evening, but there was no one around at this time of the evening, so we left for the ice/road and home. We decided to postpone our supper until we reached Greenville, which was close to an hour away, but first we had to do 25 miles on a very rutted , icy, slushy, and pathetic excuse for a road. The Voyager was slammed repeatedly going over the rough ruts. Finally, limping into Greenville we spotted at two restaurants that had lights on, but they were both closed for cooking. The only market in town was also closed. We went over to the police station and retrieved BI’s car keys and then brought him over to the Municipal lot to retrieve his Subaru. The Indian Hill Trading Post was closed, so we cranked up the speed on the Caravan and hoped that the usually chock full of food convenience store leading out of Monson was still open. The lights were on, cars in the lot, but the deli was closed, so no pizzas were on the heating rack, but they did have some decent chicken salad sandwiches in the cooler, some Doritos, and a quart of chocolate mile and a big slab of Steve’s lemon cake did it for me. Just to keep things interesting, the red temperature warning light came on my van. The engine was overheating, so I bought some antifreeze and refilled the resevoir, but it did no good. That had never happened before. I read somewhere that turning on the heater and the fan brings down the engine temp, so Rangoon and I rolled down the windows to sweat our way down to his apartment in Milford. We dropped the ‘Goon off and BI followed me for an hour and a half all the way to my house, now at midnight, where we threw ourselves across the threshold of my place and collapsed into our respective beds. The trail this week over Moosehead Lake was tough on us, but we are now able to look forward to summer travel with the very pleasing thought of just strapping our little backpacks on. Walking over solid ground, we’ll be giddy how easy it will be out there, and the tall tales of our week on the ice will grow to epic status. While I was walking the slush this week I had the opportunity to carry and complete Rosemary Mahoney’s “Down the Nile”, a story of one woman’s adventures on another waterway, that in the end may have found her exceeding our challenges. I felt she wrote the last paragraph of the book for me. 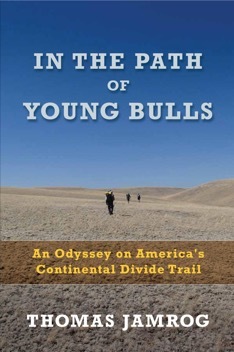 This 2009 publication is the updated version of Ray’s classic 1990 “Beyond Backpacking”. It details his present system of long distance thru-hiking, which is based on “25,000 Miles of Trail-Tested Know-How”. It is not yet on Amazon.com, and may never be. Ray is distributing the book himself. My copy came 2 days after I ordered it through Ray’s web site. There are no references to any specific products by outdoor manufacturers, as is the case in the usual gear/ backpacking review book. Ray’s own products are promoted. 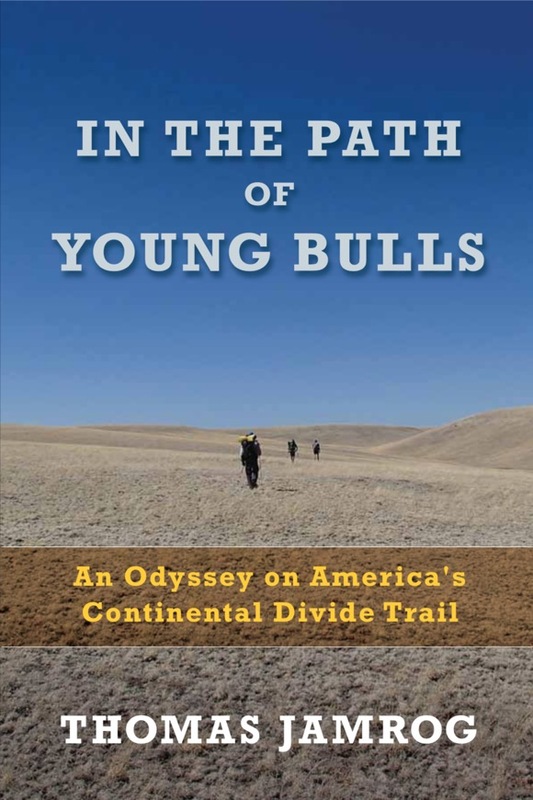 The book is heavily Pacific Crest Trail based, which is understandable, give the Jardine’s ( includes wife Jenny’s perspectives) history of covering that trail three complete times. Ray’s new home made pack is under a pound, and his base weight is 8.44 pounds. Extensive information about sewing your own gear is contained in the chapter on making your own stuff. The most interesting part of the book for me was the two page author’s profile, which is a staggering list of Herculean achievements in multiple sports: skydiving (2,591 jumps in 2.5 years), a 2 month and 28 day AT thru hike, extensive wilderness canoeing and kayaking excursions, long distance bicycle tours, and a 740 mile ski to the South Pole. This winter, we’ve had many feet of snow fall, and for the first time in 30 years, I have had leakage from the eaves of my house here in Lincolnville, Maine. In this segment, I illustrate yet another of the Maine life skills that is required of us here as we move through the challenges of winter.